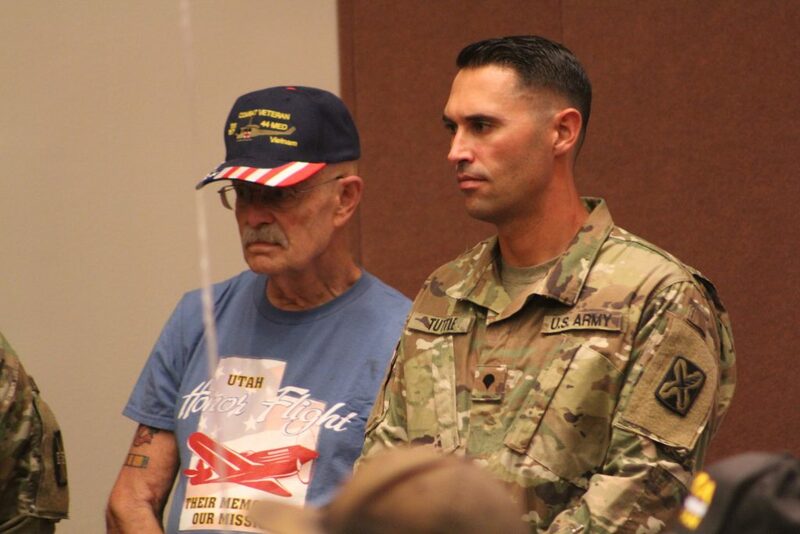 ST. GEORGE — Led in with dignity from the airport by a Patriot Guard of motorcycle riders, 25 Southern Utah veterans arrived at the Dixie Convention Center Saturday night to a crowd greeting them from a recent Utah Honor Flight trip. Members of the Utah National Guard, Marine Corps League, American Legion of St. George and community supporters joined family and friends in welcoming home their veteran loved ones to an almost-packed room of supporters with waving flags and star-spangled balloons. 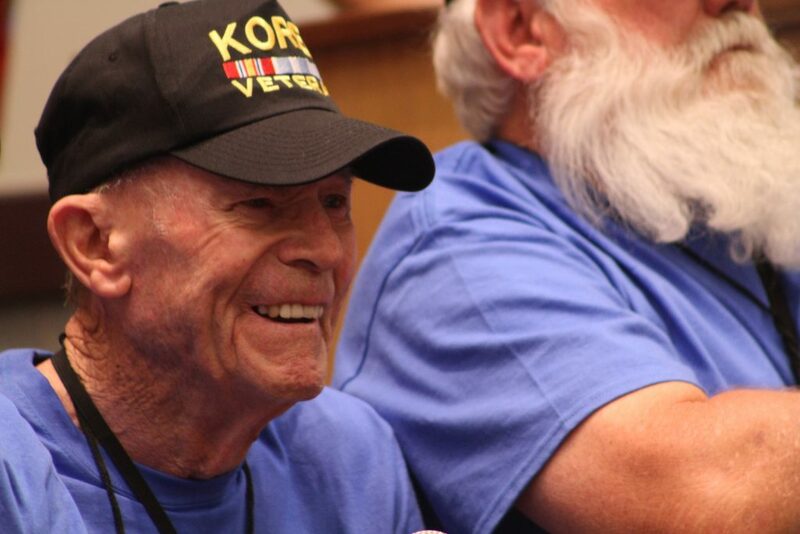 Joined by 24 others from northern Utah consisting of veterans from World War II, Korean War and the Vietnam War, a group of heroes departed Utah Thursday for a three-day tour of the nation’s capital as part of the Utah Honor flight program. Gov. 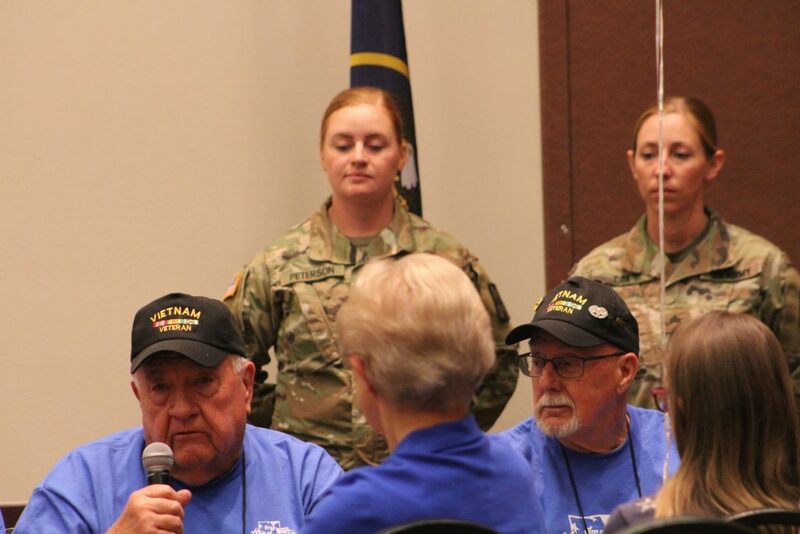 Gary Herbert was on hand Thursday to wish Wasatch-area veterans well on their trip and said it was a privilege to be there. Veterans and their guardian escorts were amazed at how well they could pack everyone inside two buses on the tour and visit many national monuments including the National Mall, National Archives, the U.S. Capitol, Arlington National Cemetery, Fort McHenry and a tour of the greatest war memorials our nation has to offer. 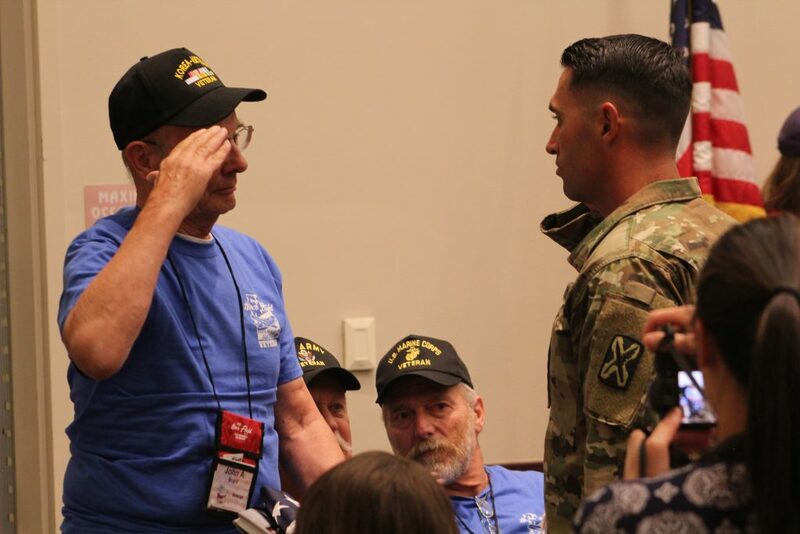 The organization has already helped over 1,500 veterans to visit Washington D.C. since it began and offers them a chance to honor, heal, remember their service and receive recognition. 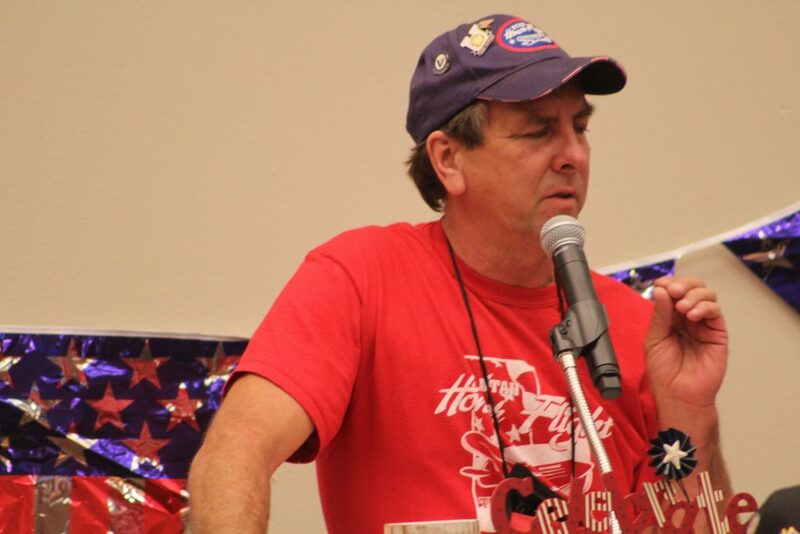 As chairman of the Utah Honor Flight, Mike Turner spends countless hours in preparation and support of the program. He said he couldn’t thank the veterans enough for their service and for allowing him to live in a free country. 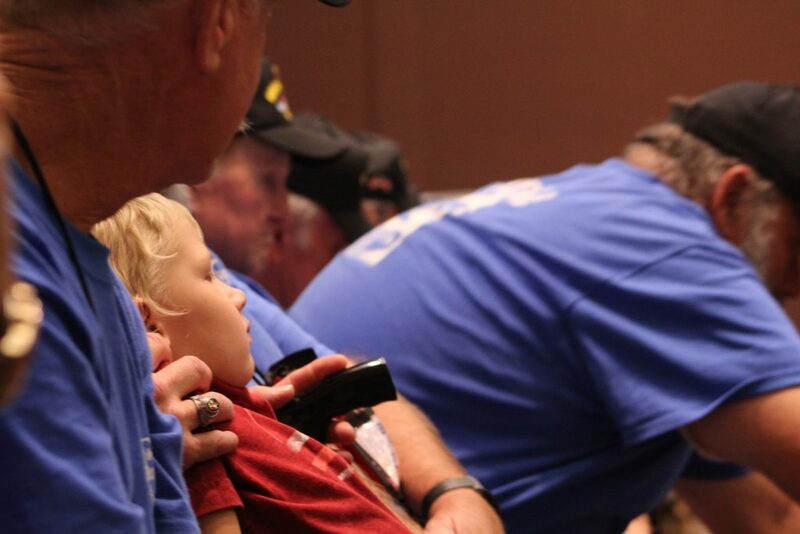 Though visibly tired from what many described as a wonderful time, each of the men were able to take the microphone for a moment — many tearfully thanked everyone involved for the opportunity to pay respect and honor their fallen brothers. 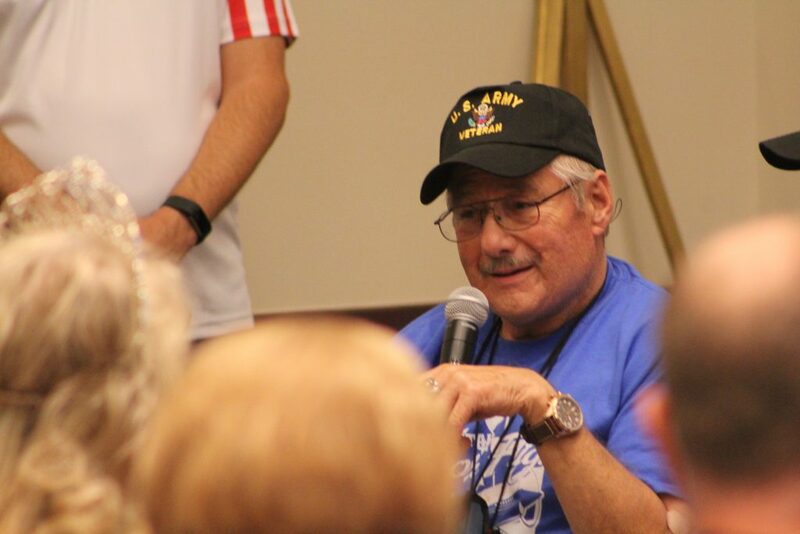 Korean War veteran Joseph Hyde was struck by the words he was hearing and felt compelled to stand and speak of his time in battle as a young 18-year-old sailor. 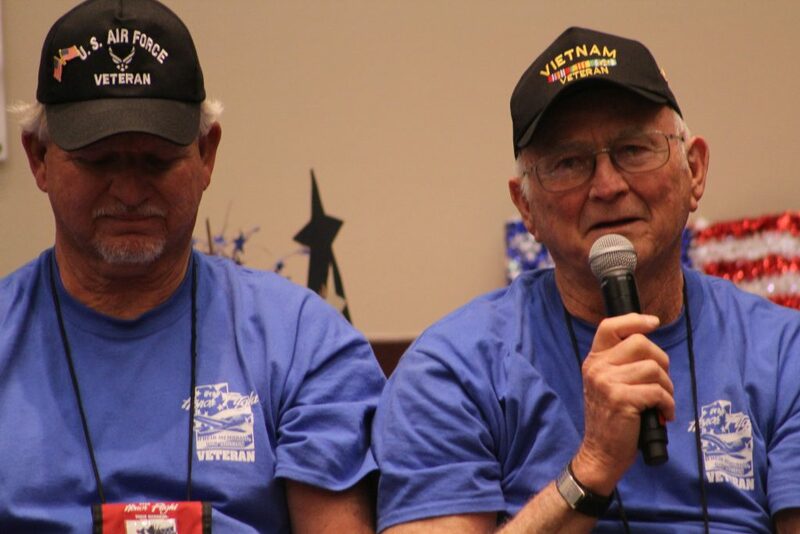 Hyde, who served on the USS Boxer for three years until 1953, recounted a day of battle when he learned how men behave under pressure with bombs exploding, fires burning, planes falling overhead and men dying. Retired Navy Capt. Ron Lewis had previously traveled with the group as a guardian and was originally hesitant to go because he thought he knew what to expect. 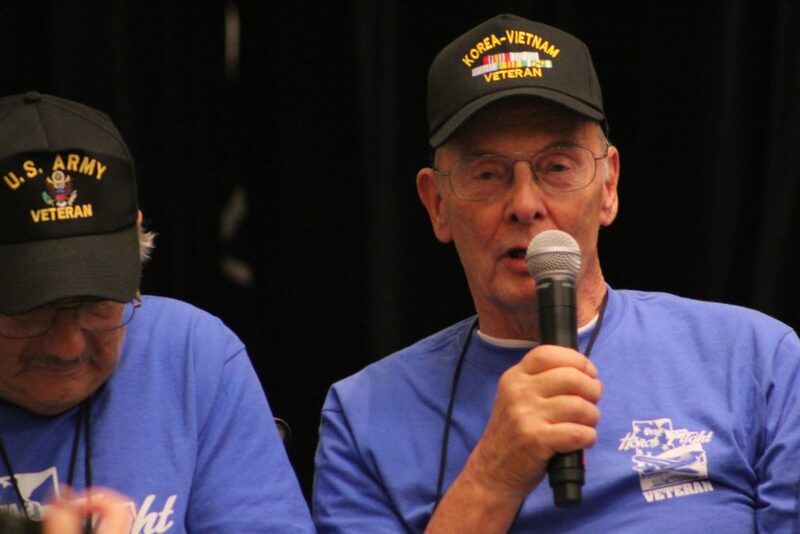 He soon learned it was entirely different to be traveling as one of many fellow veterans because of his companions and the crew of Utah Honor Flight. 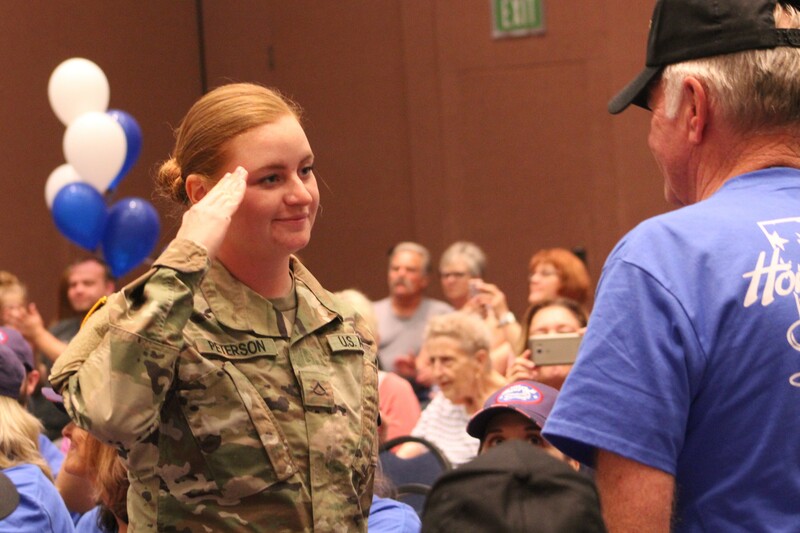 He was amazed at the overwhelming support and community turnout at the event — a striking difference from the one he said he received when he returned home from service. 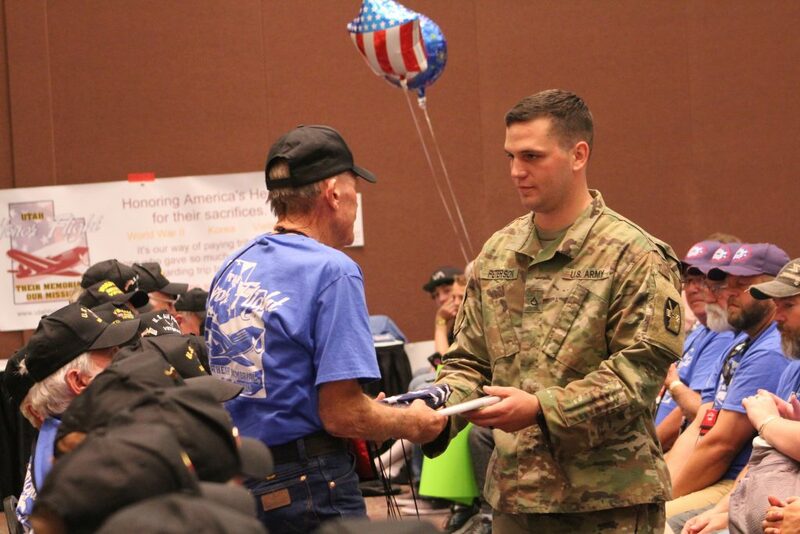 Before a rousing rendition of “God Bless America” was played to close out the ceremony, each man received a commemorative book and a new American flag passed by national guard members with heartfelt reverence and a respectful salute. 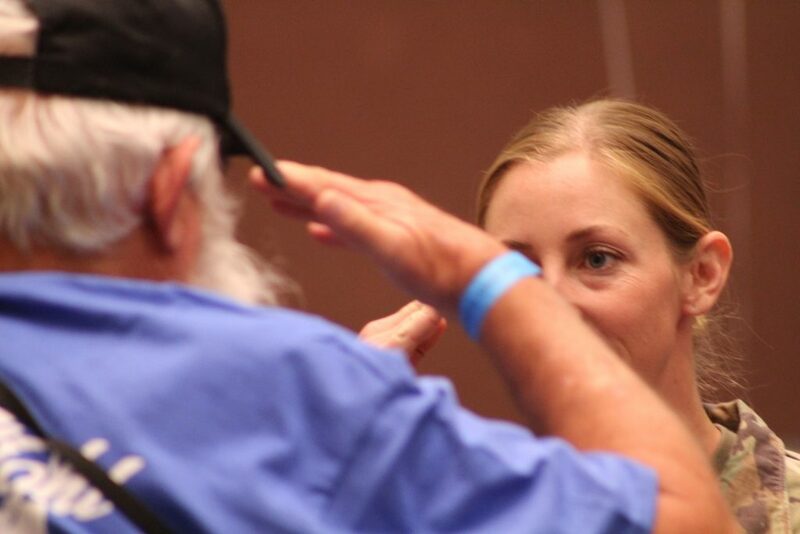 As tradition merits, three others rose from their seats to help a veteran to stand up and receive his recognition. 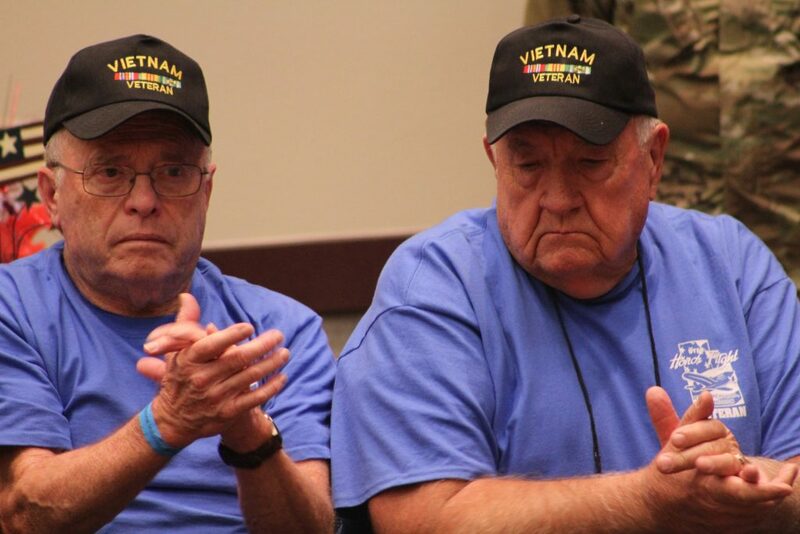 Turner said the program has a donor who would like to do something special for the female veterans of the Vietnam War and they are eagerly seeking applicants at this time for a new trip planned in the spring. “We do not have a lot of applications for female veterans and I know they’re out there. I know these ladies have served and they’ve served their country proudly, but they’re very humble or very afraid of the staff. I’m not sure which,” he said jokingly. He said women veterans do not get near the recognition they deserve and the program already has funds for 25 applicants. They aim to raise enough for twice that many trips, each at a cost of $1,000 and hopes the public will help donate as well. 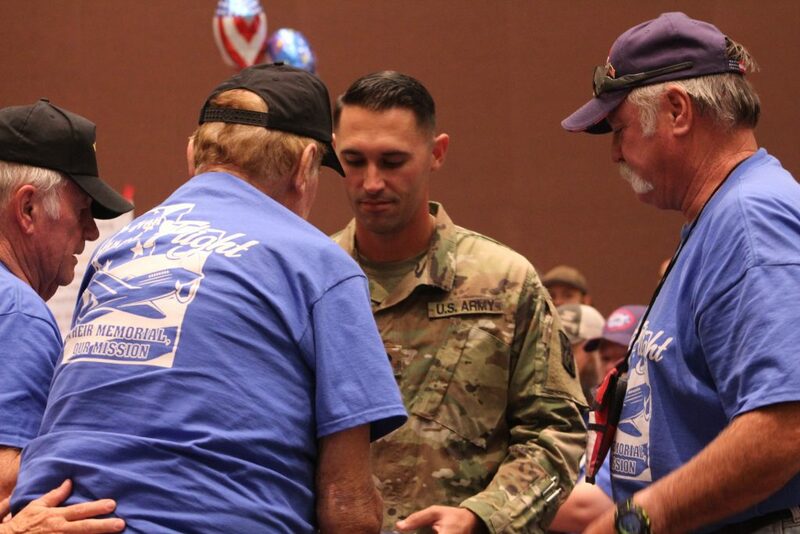 Utah Honor Flight board member David Cordero thanked everyone and said he hoped every veteran and supporter had a good feeling as they left. 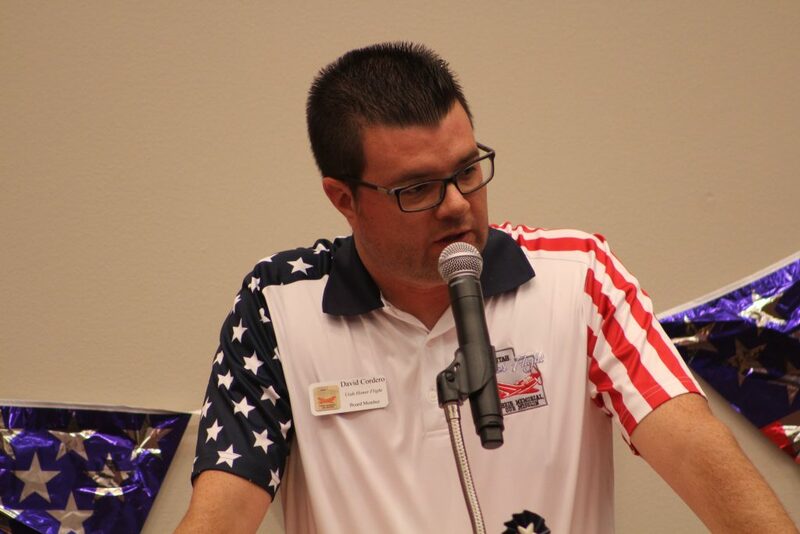 He also implored to community to reach out to any veterans and help them be involved because the majority of participants will never apply for themselves. “Please, please, please have them apply for a trip. 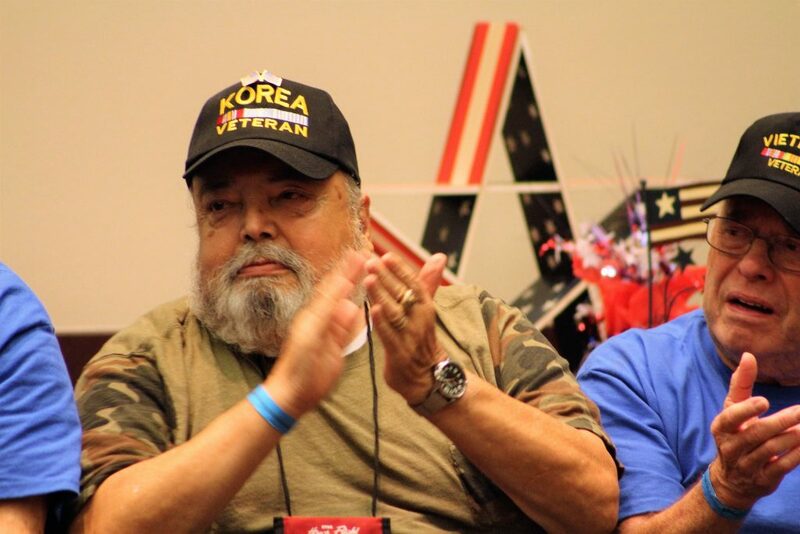 Let’s get as many veterans as we can honored,” Cordero said. 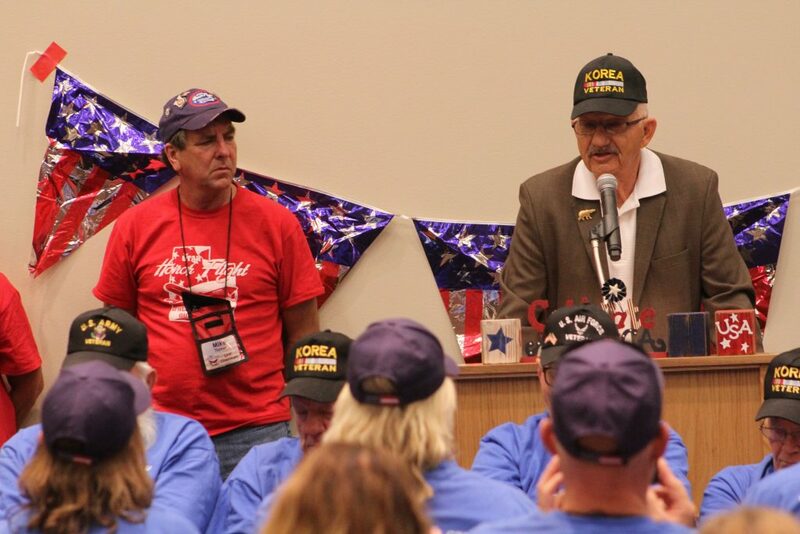 Utah Honor Flight is a nonprofit 501(c)(3) organization that takes veterans to Washington, D.C., to see their memorials at no cost to the veterans. 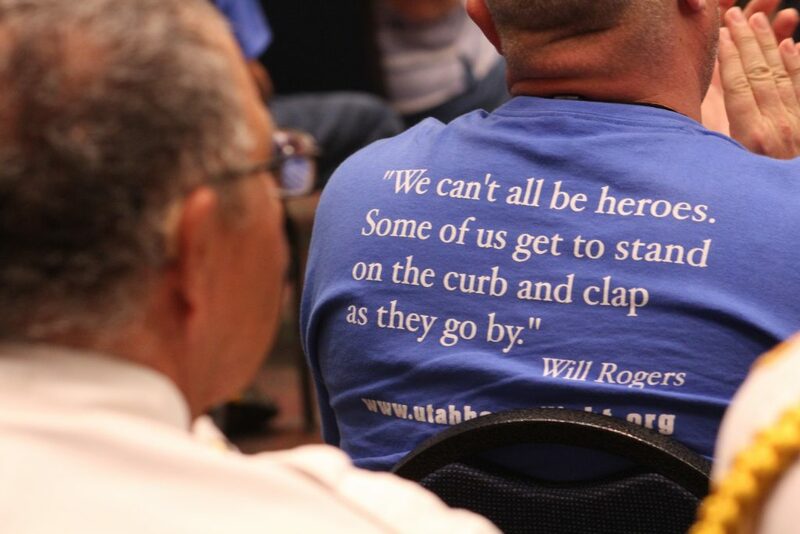 It was established in 2013 and has served over 1,500 veterans to date. 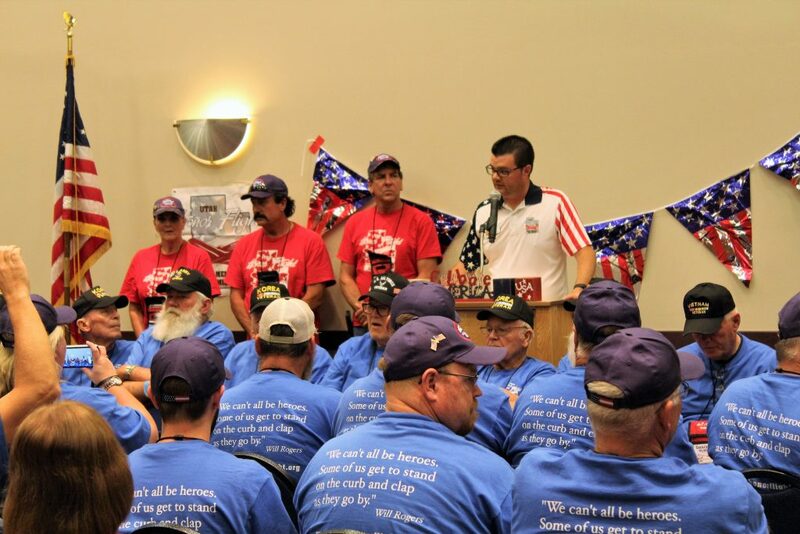 The expenses for the veterans are funded solely through donations from individuals and companies. The crew is comprised of all volunteers. 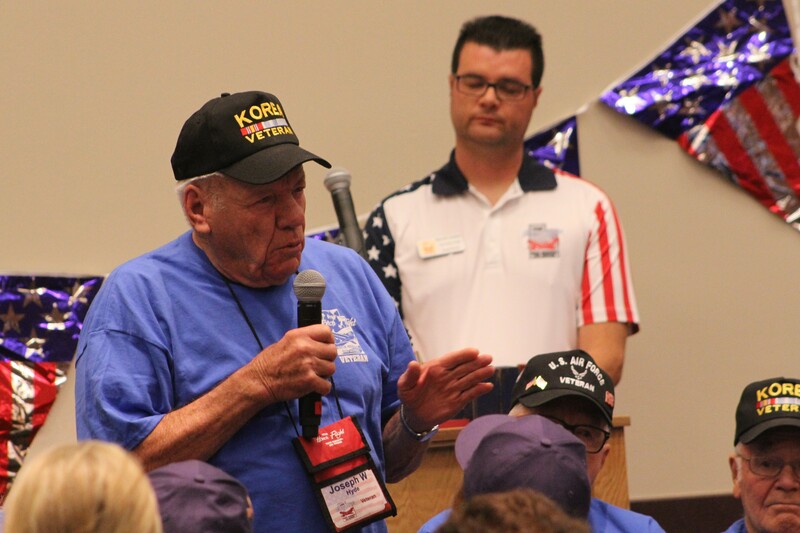 Veterans, guardians and interested volunteers may apply at the Utah Honor Flight website or on their Facebook page.